Bow down before your new kitchen computer overlord, because all chefs are obsolete. 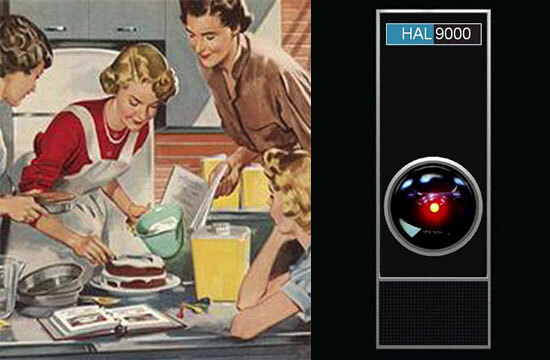 Cat Cora has already accepted the inevitable by discussing robot chefs and mechanical kitchen aids, but one day, the very thing that separates chefs from the machines — the ability to combine flavors in novel pairings — might be computerized. Ambitious young chefs who try to “innovate” on a daily basis — just give up. Of course, the people behind the latest attempt to mechanize the “creative process,” IBM, are also behind the supercomputer that beat two of Jeopardy’s all-time best players. If Watson could outplay Ken Jennings, NPR surmised in a Christmas edition of All Things Considered, would it be possible for a computer to out-innovate Grant Achatz and Jean-Georges Vongerichten? Here’s how such a computer would work, according to IBM’s Lav Varshney: put in millions of existing recipes, and from components of those recipes, create even more. Then, using frameworks based on human psychology and chemistry, try to predict which recipes will be the most flavorful. Of course, this technology will ostensibly be used to create tasty, low-fat/calorie/cholesterol recipes that people will want to actually eat, but chefs everywhere should be more concerned with the concept of computer-generated recipes which combine novel and unique flavor combinations — some of which the IBM team’s tried, to great success. We humbly suggest that when this computer is ready to be tested on television, it enters as a contestant on Top Chef. Give it three more years after it inevitably takes the title, and it could win two Michelin stars.